This month in Harper’s Bazaar magazine there is a fantastic freebie!!! 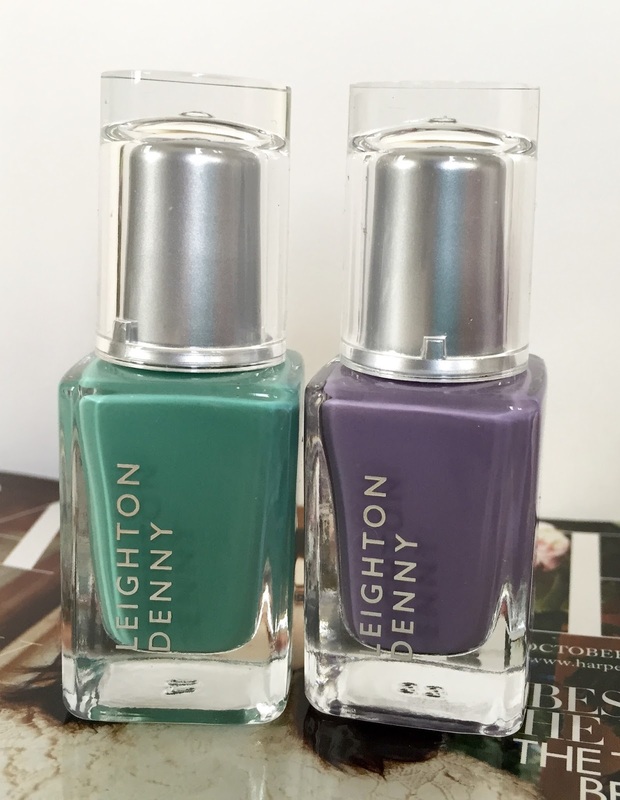 You get a full size Leighton Denny nail polish worth £11. There are six colours to collect. I was lucky enough to find all the colours, even though it was a real mission trying to find them. I found two in WHsmiths, then I found another one in Asda & the last three in Tesco. I did go into another Asda & they didn’t have any out on display & Sainsburys also didn’t have any. It is well worth getting as many colours as you can as all six nail polishes are worth £66!!! Buying all six colours in the magazine cost me £26.40 which is a real bargain. 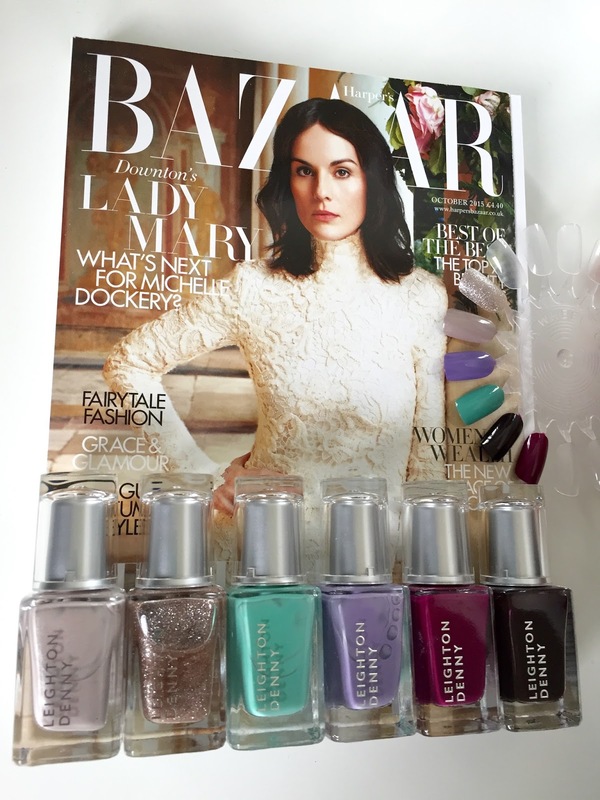 I have saved £39.60 buying Harper’s Bazaar magazine for the Leighton Denny nail polishes. Harper’s Bazaar magazine costs £4.40. I kept one Harper’s Bazaar magazine & I gave my mum the other five copies of the magazine, so she could give them to her work friends. If you want to get Harper’s Bazaar magazine for the Leighton Denny nail polish I would go to your nearest shop ASAP as they are selling fast. Check out the Harper’s Bazaar website for more info http://www.harpersbazaar.co.uk. 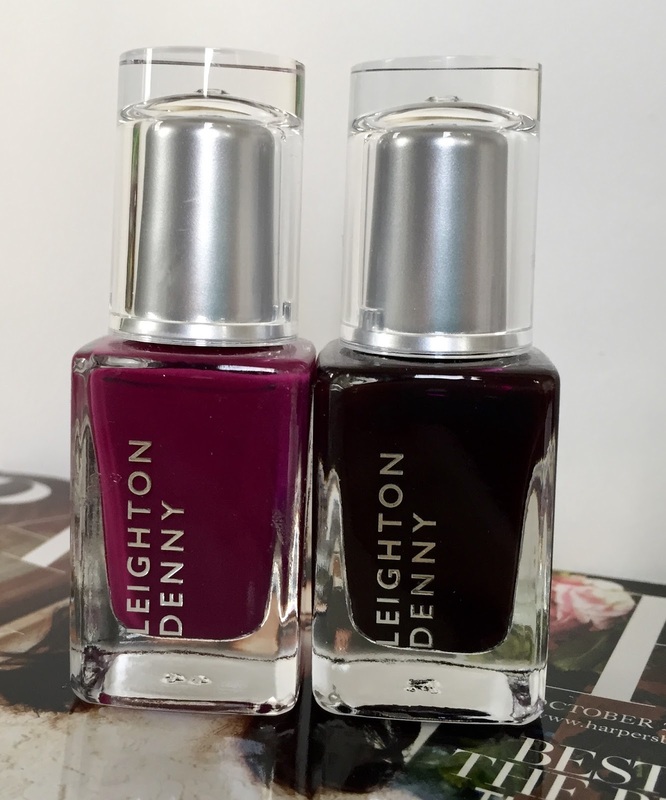 Don’t forget to check out Leighton Denny’s website http://leightondennyexpertnails.com. I think these two colours make a perfect nail polish look!!! I have currently have these two colour on my nails. I painted ‘I like lilac’ on my ring finger & ‘Morning dew’ on the rest of my nails. 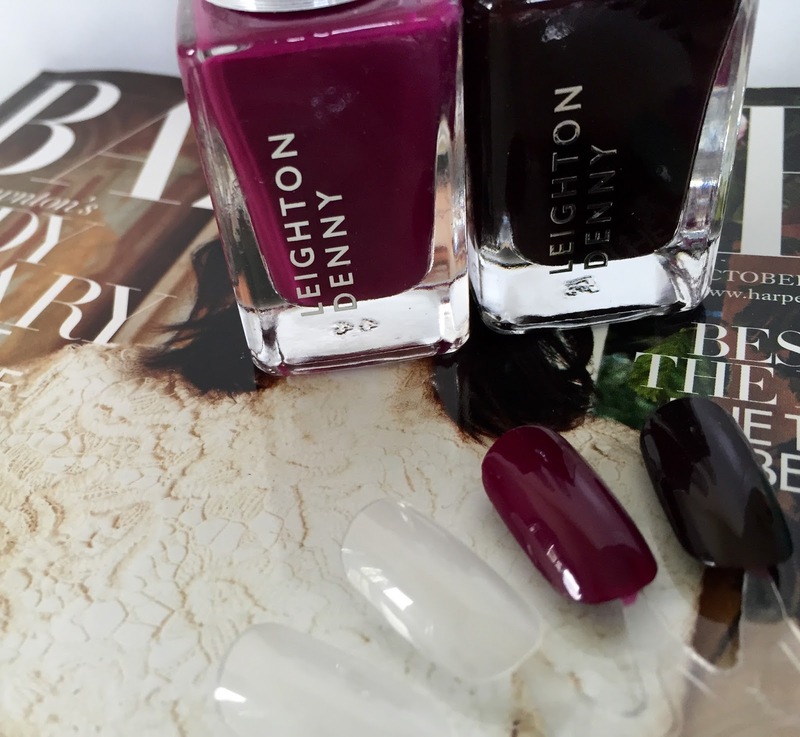 I think all six Leighton Denny colours are seriously perfect for Autumn!!! ‘Morning dew’ is a mint sorbet colour & is really on trend!!! ‘Morning dew’ actually matches my iPhone case perfectly. 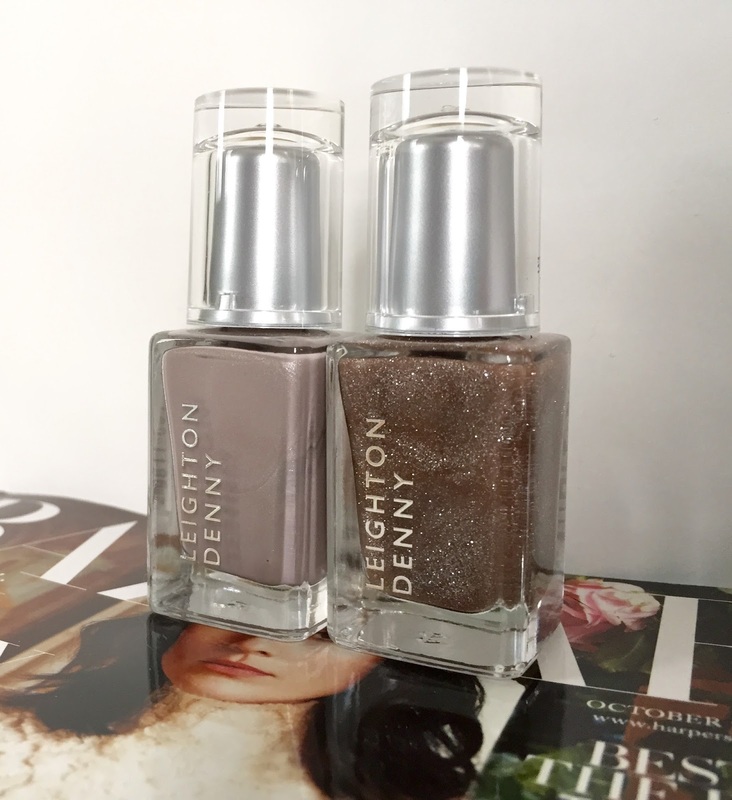 I painted my nails with two coats of the Leighton Denny nail polishes for an opaque finish. ‘I like lilac’ is a slightly muted lilac colour with a gorgeous cream finish. I painted all my toe nails in ‘I like lilac’ the colour looks so pretty & looks great in sandals. ‘Purple reign’ & ‘Really royal’ are going to be my go to colours transitioning from Autumn to Winter. ‘Purple reign’ is a rich purple berry colour & would look great on your nails with ‘Really royal’ on your ring finger. When I first bought the issue of Harper’s Bazaar magazine with ‘Really royal’ in I thought it looked black!!! but when I did swatches on my colour wheel it turns out its an intense deep purple colour. Check out my swatches of the six colours its near the end of my blogpost. When I bought the copy of the magazine with ‘It’s an honour’ I thought it was a taupe colour, but when I did a swatch on my colour wheel it looked more like a cool toned grey with a metallic sheen. ‘It’s an honour goes perfectly with ‘Gold save the Queen’. ‘Gold save the Queen’ is a glitter top coat. ‘Gold save the Queen’ is a really different glitter top coat it has gold & platinum flecks of glitter in the polish. You can wear both nail polishes together or for a more elegant look you can wear ‘Gold save the Queen’ on its own, but two coats of the glitter polish on your nails for the best result. Have you bought this months issue of Harper’s Bazaar magazine??? If you have what colour nail polish did you get??? Leave me a comment & tell me what colour nail polish you got & tell me what colour duo you like the best. These nail polishes look great! I love Gold Save the Queen and It's an Honour! Unfortunately we don't get cool freebies with magazine issues here in the US.